Our names are Mark and Rachel. We are Sussex born and bred and have lived in Mid Sussex for all our married lives. 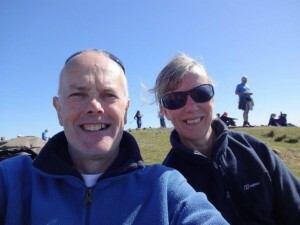 Both of us have always had a love of the Great Outdoors but on our honeymoon in the Brecon Beacons in 1984 I thought that perhaps hill walking was a step too far for us.